Hyundai is a brand that is known for its great engines and lovely features, but we all end up in situations where our keys just aren’t working like they used to. Whether you’ve lost the keys to your Hyundai or you want a new replacement set just in case you do, we can help you to get whatever it is that you may need in terms of copying keys, making new keys, and dealing with other issues that may be related to the locks & keys for your Hyundai. 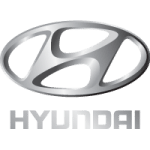 Many of the newer Hyundai models use what are known as transponder keys – these keys have a chip embedded in them so that the vehicle will know not to start if a copy of the key doesn’t have that chip. That makes these keys more difficult for the average locksmith to copy – but not us! We have the technology necessary so that, even if your vehicle has a transponder key for the ignition, we will be able to make a copy that works right away! The next time that you need Hyundai keys copied, come to Door N Key Locksmith or call our office and we can take care of it for you right away!